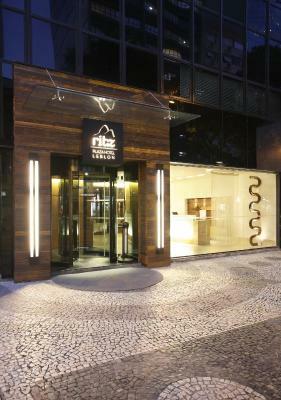 Lock in a great price for Ritz Leblon – rated 8.2 by recent guests! Friendly, great location, clean comfortable, good breakfast, 2 elevators, quite, relaxing environment. Easy access to everything in Rio, amazing staff. They really were awesome! The property is located in what I think is the best part of Rio! One block away from the beach and all the stores and restaurants right around you... the staff is so nice and welcoming... the breakfast is fantastic with everything made in house! It was a true pleasure staying at the Ritz, I look forward to our next visit!!! Staff was great and willing to help but the facilities didn't help to much. Location is great, probably best thing of the hotel. Amazing location! Everything is reachable on walking distance. Good breakfast and staff very polite. The staff was extremly helpfull and supportive when we missed our conenction flight and arried one day late, they extene our stay without any cost, on top they checked us in earlier than the regular check in time. location is amazing ! Close from all restaurants and best bars at Leblon . Close to the beach . The staff is very friendly . Good breakfast . They were very nice and give us a very good room . Staff and Breakfast are outstanding. Rooms are very clean and full of light. The staff, the location, the view from the balcony. Ritz Leblon This rating is a reflection of how the property compares to the industry standard when it comes to price, facilities and services available. It's based on a self-evaluation by the property. Use this rating to help choose your stay! One of our top picks in Rio de Janeiro.Just 650 feet from Rio de Janeiro’s Leblon beach and 1,650 feet from Antero de Quental tube station, the charming Ritz Leblon features a gym and a pool with wooden deck and sunloungers. Its restaurant serves a daily buffet breakfast, and shuttle services are arranged. Free WiFi is available throughout. Featuring a stereo system, mini-bar and an LCD TV with cable channels, the air-conditioned rooms boast a bright, contemporary décor. Guests can enjoy cocktails at Tropical Bar located in the lobby. Ritz Leblon is 4 mi from the world-famous Copacabana Beach, and 9.1 mi from Santos Dumont Airport. Christ the Redeemer monument and Maracanã Stadium are 8.1 mi away. Parking is available, and charges are applicable. Leblon is a great choice for travelers interested in food, nature and sandy beaches. When would you like to stay at Ritz Leblon? With an LCD cable TV, mini-bar and stereo system, this air-conditioned room offers a contemporary décor. Please note that this room category cannot accommodate an extra bed or crib. This room accommodates maximum of 2 adults. Private parking is available on site (reservation is not needed) and costs BRL 50 per day. This double room has air conditioning, mini-bar and CD player. Please note that this room accommodates 1 child from 1 to 8 years old in an extra bed at a surcharge. One baby up to 1 year old can be accommodated in a crib for free. Offering a balcony, this family room also includes a seating area and a kitchenette with a microwave and kitchenware. A cable TV and air conditioning are also included. Maximum occupancy is 3 adults and 1 child (see Hotel Policies). One baby up to 1 year old can be accommodated in a crib for free. Facing the back of the hotel, this double room has air conditioning, cable TV and CD player. Please note that this room category cannot accommodate an extra bed or crib. This room accommodates the maximum of 2 adults. Please note that the rooms in this category are located on the lower floor and don't have any windows. This double room features air conditioning, CD player and mini-bar. Please note that this room category cannot accommodate an extra bed. One baby up to 1 year old can be accommodated in a crib for free. Offering a balcony, this family room offers a seating area and a kitchenette with a mini-bar. It also includes a sofa bed, air conditioning, a microwave and cable TV. This room does not accommodate an extra bed. Located in one of the most charming spots in Leblon , the Ritz is surrounded by literary cafes , restaurants, bars , bookstores and is near the most beautiful shopping malls. The hotel has a complete structure , with internet in all its facilities. Hotel surroundings – This neighborhood is a great choice for travelers interested in food, nature and sandy beaches – Check location Excellent location – show map Guests loved walking around the neighborhood! House Rules Ritz Leblon takes special requests – add in the next step! Ritz Leblon accepts these cards and reserves the right to temporarily hold an amount prior to arrival. Please note that the property may request CPF or Passport Number for issuance invoice. The ´feel´ of the hotel is more for a corporate business traveler hotel. Not for a beach holiday. The hotel itself is fine, just not what we were looking for and we probably should have done some more research. The rooms were fine too, however they felt rather claustrophobic, not having external access to windows or balconies... Perfect if you're on a business trip. For the price we paid i would have preferred to have stayed elsewhere, however Leblon is a great location to stay in Rio. The Breakfasts were amazing, the best i´ve had in a hotel for years. The staff super kind, friendly, and helpful. 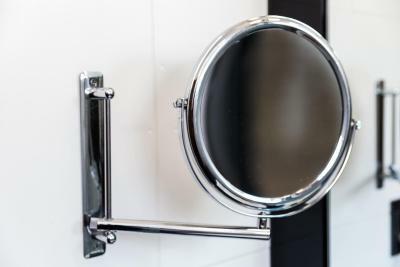 The rooms are clean and well maintained, and the location is perfect access to lovely streets with bars a restaurants nearby so you don't have to catch taxis. Leblon is a super cool, pretty part of Rio and i would return to the area. Amazing breakfast with lots of fruit, gentle personnel that made me feel at home. The standard rooms are very small. The property charged me for a couple of meals I didn’t have when I did the checkout. As I only realized that a few hours later, I called them and until today hadn’t received the promised refund. Unauthorized Charges in my Credit card after I check out for no apparent reason ! Requested Business invoice , was informed it would be sent by email and só fare nothing was sent I call the property for 3 times already to check what happend and the lady Responsable for this case is never available ! The air conditioning in the rooms, noisy and with an irritating strong blue light when on. Excellent and welcoming staff. Location. Bicycle in the gym Was not working properly.. everything else was well equipped in the gym. Cleaning service for clothes was a scam. 200€ for one bag of clothes for 1 washing machine. Reception staff did not give the recommendation that just 50m away is a cleaning service, or organise it for us. That would have been a big +! The only thing is the hot water on the shower. The system is not so efficient, you get a while to get used to.